Plot: Set in contemporary Chicago, amidst a time of turmoil, four women with nothing in common except a debt left behind by their dead husbands' criminal activities take fate into their own hands and conspire to forge a future on their own terms. 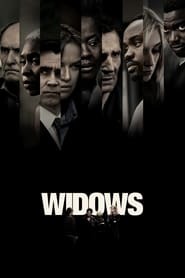 Looks like a solid crime/heist drama with a pretty impressive cast; though slightly surprised McQueen is behind this, he hasn't seemed like the type to suddenly knock out a mainstream thriller. Some cast. Viola Davis is getting Oscar buzz which is no surprise, great actress. I remember the TV series. It was a cracking show that was very popular. I seen this yesterday and enjoyed it. If it has one fault it may be that it tries to put too many issues into the film like racism, whites killing young blacks etc. I thought the twist in the middle was good. I thought all the actors were very good and the end scene's were really good.